Good afternoon, space fans! It’s been another outstanding week in orbit! Here’s what was up. 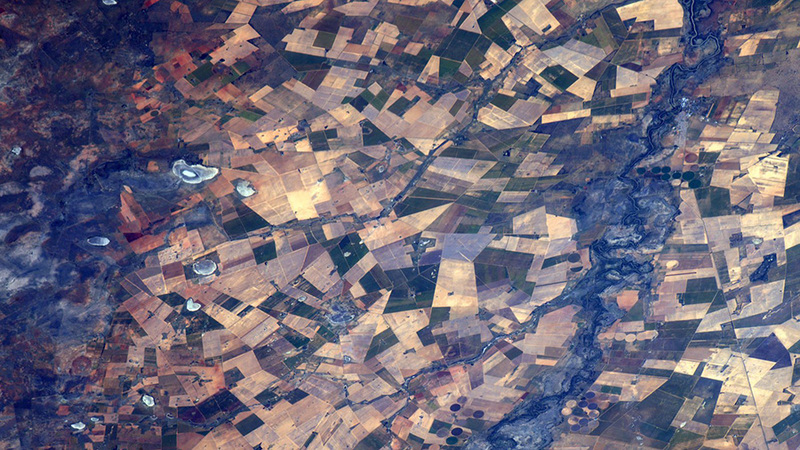 somehow even MORE beautiful from space. 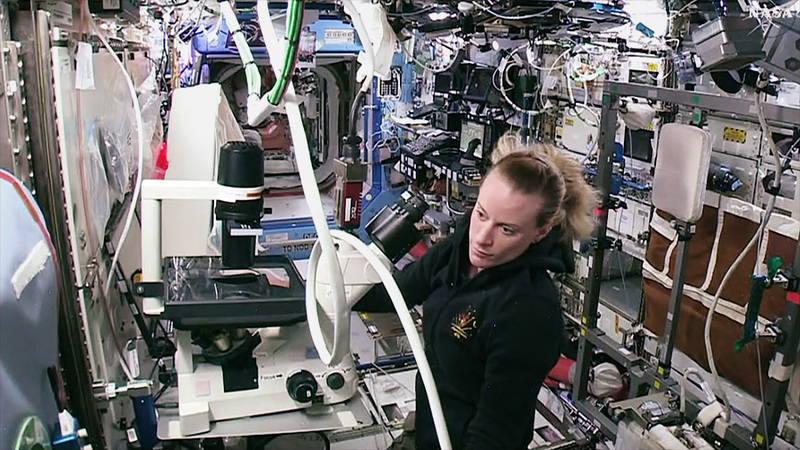 This week, astronaut Kate Rubins commenced the Heart Cells study, which assesses how the cells of the human heart might grow, change, or otherwise react to a microgravity environment. The cells being studied are human stem cells that have been scientifically coerced into becoming heart cells specifically for this mission. They will be analyzed for a month on the ISS and then sent back to Earth for further review. Other scientific studies aboard the station this week included gathering more data for the Fluid Shifts study, which determines the impact that microgravity has on our heads, particularly regarding our squishy, water-based human eyeballs. Commander Jeff Williams and cosmonaut Alexey Ovchinin used an ultrasound scan and a tonometer to monitor the fluid pressure in their heads and eyes. This research could help with the understanding of how the body’s fluids move to increase pressure in the head while in space, which can affect astronauts’ vision. Williams and Rubins also resized a pair of spacesuits in preparation for their upcoming E.V.A. (extravehicular activity…code for a spacewalk.) The pair will float outside on August 19th to install an International Docking Adapter for new types of incoming spacecraft. The docking adapter was delivered aboard the Dragon and will be robotically maneuvered into position near the Harmony module two days before the spacewalk. This innovative new adapter will allow for many different types of modern spacecraft to share the same docking port aboard the ISS. "slim-fitting" or "push-up / enhancing." With 5.5 tons of gear, food, and scientific supplies to unpack from their two recent deliveries, the astronauts and cosmonauts had a busy week transferring the new cargo. A fresh spacesuit was swapped out for an older one (to be sent back to Earth on the SpaceX Dragon’s re-arrival), and a multitude of interesting new space gear entered the station. A portable DNA sequencer, a new type of solar cells, several small “Gumstix” computers, and a device to help more accurately regulate the station’s temperature were included. "Do NOT miss grabbing the capsule, dammit, our fresh coffee stash is in there." Got an idea for ways to give the ISS some more commercial usage? NASA wants to know! No, sadly, we can’t open a rock ‘n roll bar up there, that’s not what they have in mind. (Trust us, we tried.) In the meantime, our space tourism will have to be enjoyed from the vantage point of Commander Jeff Williams, who always makes the Earth feel pretty. Ice floes off of Newfoundland. border road between UAE and Oman." "Northern Rockies shrouded in early morning valley fog." That's all for this week, space fans! We'll see you next Sunday with even more from the scientific spectacularity swooping around our planet! Watch this space! Wow i love space.Very nice article.